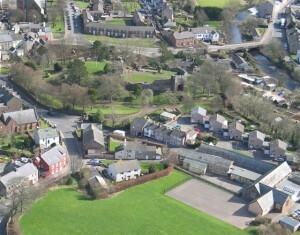 The West Cumbrian town of Egremont has a long history and the remains of its 12th Century Norman Castle are still visible from the High Street today. It used to be a major centre for iron ore mining and had the last working iron ore mine in Europe, something which is commemorated by Colin Telfer’s sculpture opposite Lowes Art Gallery, which has regular exhibits of new and established local artists. Florence Mine has now been turned into a visitor’s centre and it has become an important Cumbrian arts hub and creative space that hosts various events. If you are looking for a creative local catering company, Hog Roast Egremont is the answer. As well as being the number one supplier of hog roasts in the area, we have inventive menus for all occasions, which are continually being developed to meet the needs of our increasingly diverse clientele. Egremont may not be a major stopping point on the Cumbrian tourist trail, but it is a town with a lot of character and it is most widely known for hosting the rather unique Annual World Gurning Competition. 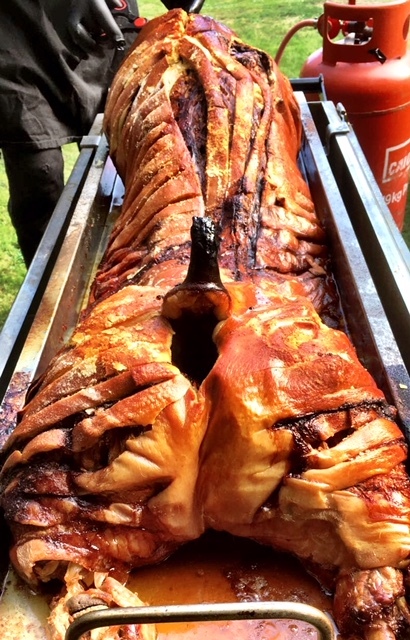 Whether your event is quirky or more traditional in nature, Hog Roast Egremont have the versatility to be the perfect catering solution and we can effortlessly adapt our approach to fit with any theme or style of party. Our menus can be fun or formal depending on your requirements and we can serve you fabulous food in either a buffet style for a private party or supply our own waiting and front of house staff to provide canapes and full table service for wedding receptions and corporate events. We also have a range of different hog roasting machines, which can either be a great focal point for everyone to gather around and whet their appetites as they watch the meat cooking or be tucked away in the corner to work their magic in a more discreet way. Hog Roast Egremont has the experience and expertise to deliver unique dining experiences whatever the occasion and if you choose us to cater for your event, our freshly-prepared food and flexible style of service will exceed all of your expectations.